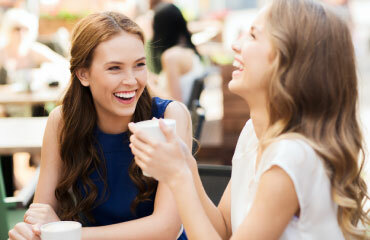 Keen to keep your pearly whites looking great all year round? Need an incentive to encourage you to make the most of the dental healthcare available to you? Whether you’re looking to save money or spread the cost of your dental care, or you’re looking to ensure great quality treatment is available all year round, at an affordable price, you need Denplan. Denplan is our monthly payment scheme, set up to give you easy access to the level of dental care you need. The cost of the plans range from £14.50 per month to £37.88 per month, dependent on the range of dental cover you require. With affordable monthly payment options like these, it’s no wonder the scheme already has 1.7 million patients registered and receiving its benefits. It can be easy to dismiss booking your routine dental appointments – whether it’s from fear of the dentist’s chair, cost, or purely down to your busy life. With Denplan, each patient has two examinations included in their package, which they can use at any time during the year, making it easier to take advantage of regular appointments. Dental work can be expensive, but Denplan offers its patients at least 12.5% off all major work, with many treatments being absolutely free with higher levels of cover. Chipped your tooth on a bottle but want to avoid those dental costs? With Denplan you don’t need to worry. Emergency dental appointments are included free of charge with all packages. There is so much included in your Denplan cover – from routine appointments, to hygienist visits, x-rays, emergency appointments, and much more. Together, these will ensure your dental health is top notch. 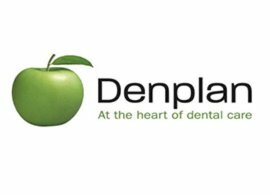 Denplan Essential – Covers two exams and two hygienist visits a year, plus x-rays, emergency appointments and dental cover abroad. This plan is great for those with minimal dental needs, while ensuring your smile is being regularly maintained and in the event of an emergency you are in safe hands. Denplan Care – Our leading plan offers comprehensive cover that includes all the above plus fillings, extractions, gum treatment, preventative dental advice, crowns, dentures and bridgework. To find out more about Denplan, head to the website. You can also find out more by giving the AP Smilecare team a call today on 01254 297 000.